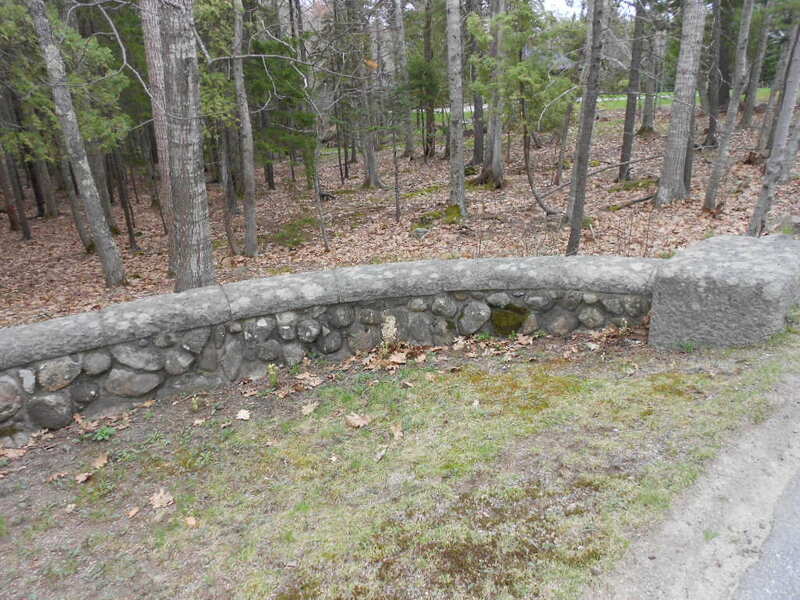 This gate is a footnote in landscape history. 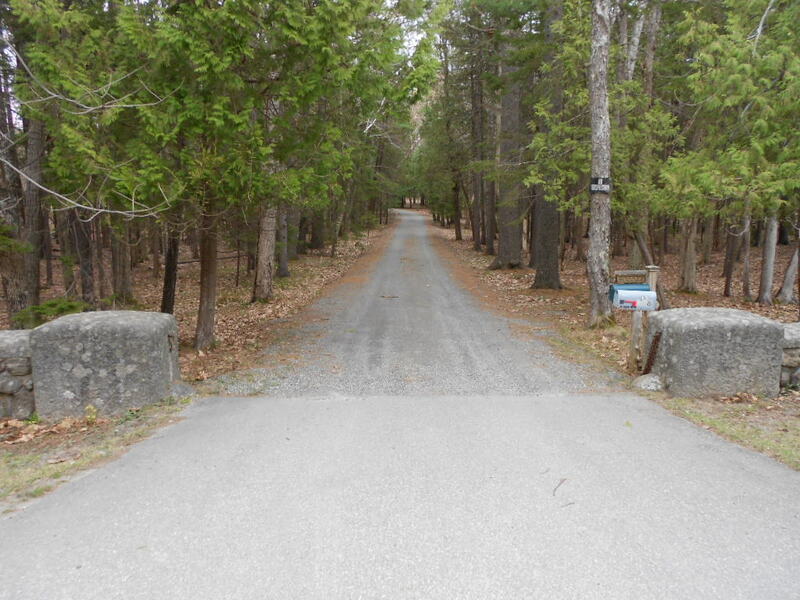 It is the main entrance to Pointe d’Acadie, the long demolished George Vanderbilt estate at Bar Harbor. 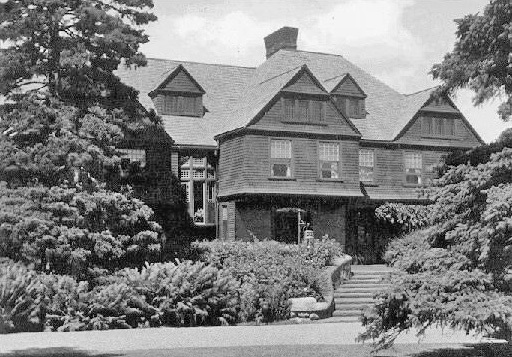 Like all of his family, Vanderbilt was an inveterate builder, and in 1889, even as he was acquring the 146,000 acres of North Carolina that would become the Biltmore estate, he had Olmstead at work landscaping this smaller (by Vanderbilt standards) project at Bar Harbor. 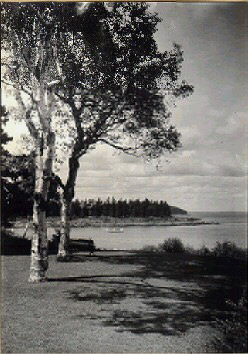 Olmstead’s work at Pointe d’Acadie, a prelude to his final great work at Biltmore, would include new roads, carefully composed clearing and tree plantings, a new stone terrace and stairs that would enhance the transition of the large shingled house to the landscape, and the damming of a small cove to be used as a naturalistic swimming pool, Bar Harbor’s first, complete with rustic Adirondack style cabanas. All this even as George Vanderbilt was embarking on the largest private building project of the era at Biltmore. 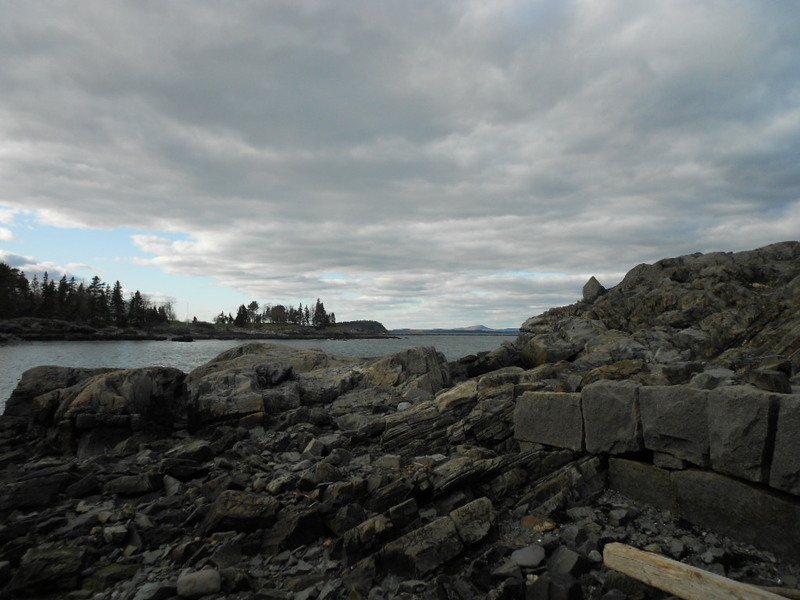 The site of ‘Pointe d’Acadie’, which Vanderbilt had purchased for the then large sum of $200,000 (Approximately $7,000,000 in today’s dollars) is a spectacular little Peninsula jutting into Frenchman’s Bay, views of water and mountains on all sides. 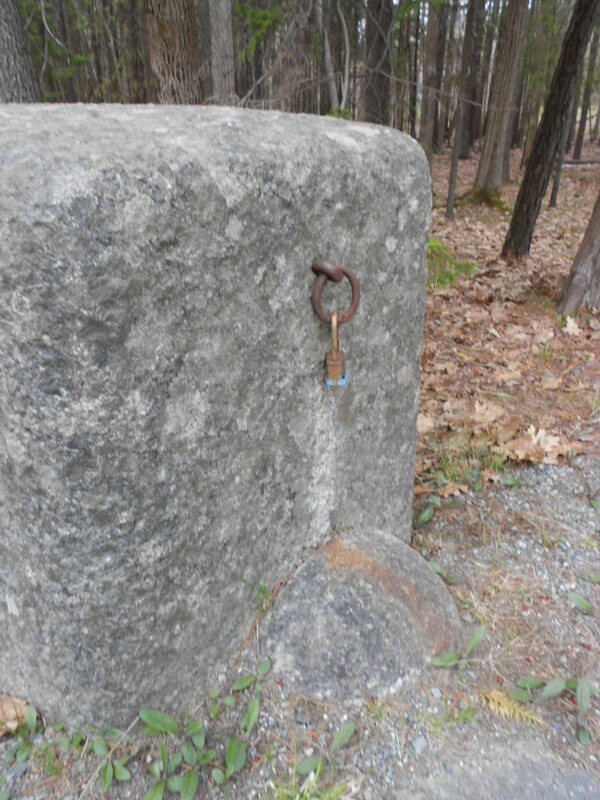 Later highway construction has partially submerged the gate, but it is nevertheless a classic example of Olmstead’s approach to designed elements in the landscape, subtle, with materials and shapes carefully considered in relation to the landscape. 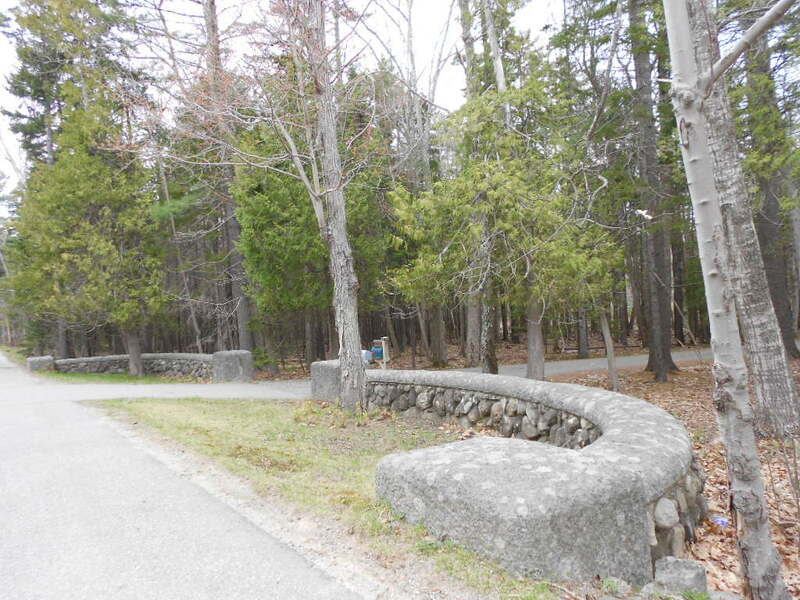 The sweep is broad and gentle, the granite coping carefully rounded and shaped. 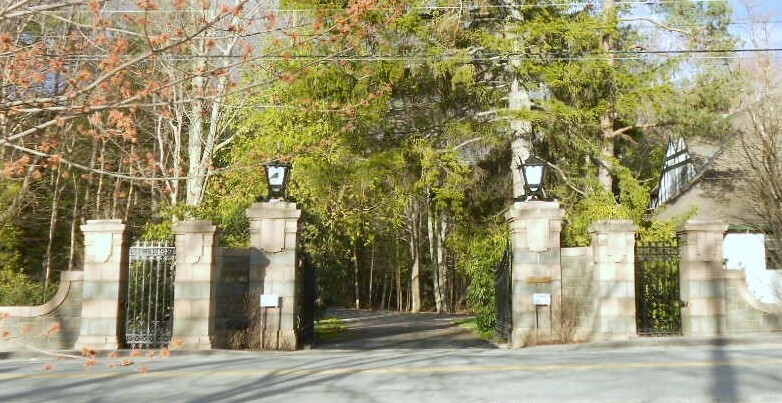 It is almost in rebuke to the massive Beaux Arts gate of Vanderbilt’s neighbor, railroad tycoon John Stewart Kennedy of Kenarden Lodge (below). The driveways at Pointe d’Acadie, carefully constructed to Olmstead’s exacting specifications, although not maintained to the manicured, raked daily, standards of the Vanderbilt era, have rarely needed major work since. The terraces of Pointe d’Acadie with their broad shallow stairs to the lawns, with stonework and coping matching that of the gate, were similar to other examples by Olmstead, and typify his approach to integrating house and landscape. The terraces survived for many years after demolition of the house—I regret never having photographed them. After the house was demolished, the lawns, seen above in the 1920’s looking across to the Kennedy estate on the next point, were left to meadow, which probably would have pleased Olmstead, and the effect of nature, as enhanced by Olmstead, was gorgeous. Vanderbilt’s naturalistic swimming pool started something of a trend at Bar Harbor, and several other estates featured them. Above is are early spring views from the ruined cove side pool (nature reclaims her own) at Old Farm, the George Dorr estate, looking across to Pointe d’Acadie. In recent years a new house was built on the Pointe d’Acadie site, which is private property. 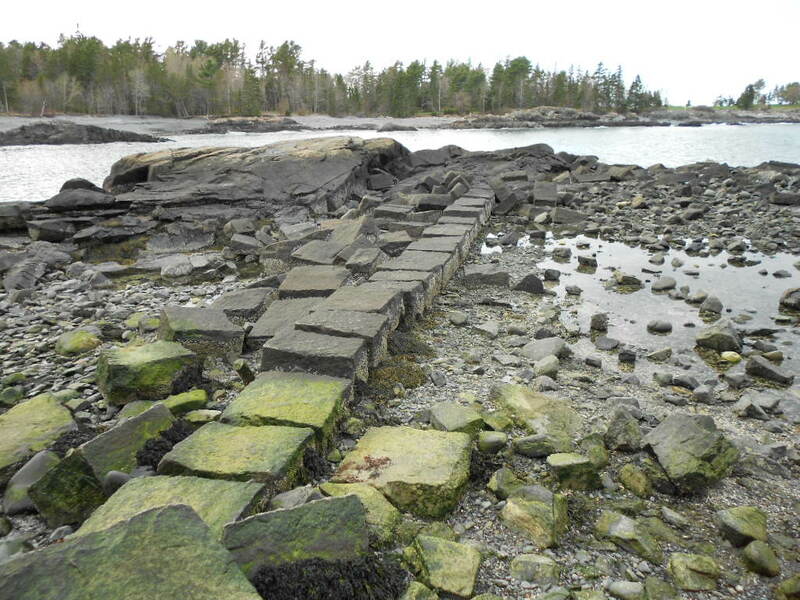 Old Farm is now part of Acadia National Park, which was founded by Dorr.